U(biquitous)Labs Makerspace has received a grant from the Community Foundation of West Texas to fund the Youth Innovation Program of West Texas Schools that will stimulate Design and Innovation thinking in students. U(biquitous)Labs Makerspace, also known as ULabs, is a nonprofit organization serving Lubbock and the West Texas Region with Innovative tools and experts. Ulabs was established in 2015, the organization has served hundreds of youth and school students through introducing high tech tools such as 3D printers by implementing several camps and workshops. Ulabs provided several internship opportunities to college students in getting them in real world experiences in community and innovation projects. Moreover, Ulabs orchestrated a partnership with other local stakeholders and served the public through several events and workshops introducing the Makerspace concept. U(biquitous)Labs Makerspace, is a nonprofit 501 (C)(3) organization. ULabs’s mission is to provide a collaborative space in Lubbock where anyone can come to tinker, discover, create, invent, and learn. At ULabs, you can access major equipment and the space to bring ideas to life with high tech tools. ULabs provides instructional workshops for all of our equipment if one is not well versed in these equipment. ULabs provides a space to meet other makers—those who are always curious, always excited to learn, hack, or to create the next big thing. ULabs is a community of your peers who share your interests. ULabs values learning, creativity, and opportunity for everyone who comes through the door. We want to spread the joy of innovation to the Lubbock community, especially to our local youth and school age students. Over the years Ulabs served and provided the public and local schools with different activities and workshops. Some of the activities were at schools properties, Ulabs premises, and other public venues through partnerships. Some of the school projects,Ulabs served 40 students from Bean Elementary school through 3D printing summer camp. Ulabs was part of STEM night project at North Ridge school by providing several hands-on workshops. Moreover, Ulabs hosted Boys Scouts groups who were introduced to 3D printing in a full day workshop where they learned 3D printing designs, printing objects, and 3D printing troubleshooting. On the other hand, Ulabs hosted some public venues like the Blanka artists group event where four different music bands gathered, architecture students and artists displayed their designs, art and played their music and attracted 1500 people from around the Lubbock area. Furthermore, Ulabs was part of Texas Tech Engineering fair at the Science spectrum through 3D printing demonstration, build-a-bot activities, and other similar activities. Ulabs is partner with Barnes & Noble and in charge of organizing the National Maker Faire every year by providing live demonstrations of 3D printing and newest technology tools. Finally, Ulabs is still conducting and serving schools and west Texas community through several workshops and activities during the year. Established in 1981, the Community Foundation of West Texas is a regional philanthropic entity created by and for the people of the Texas South Plains region. The Community Foundation exists to improve quality of life in this region by helping area donors to give in ways that make an enduring impact on their community. In 2015, the Community Foundation and its affiliates awarded more than $1.7 million in grants and scholarships, funding projects of hundreds of non-profit organizations, schools and government agencies. 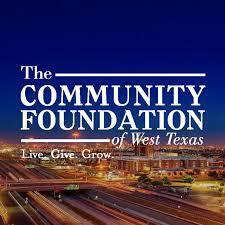 Visit www.communityfoundationofwesttexas.org to learn more. ULabs is accepting donations to fund future Innovation Programs to help more youth in the West Texas Region. For more information on U(biquitous)Labs Makerspace or how you can support its community efforts, please visit www.ulabstx.org or call 806-370-0408.